This American born in the early 40s has been able to establish himself as a political commentator and a journalist. David Gergen is a professor who is presently serving as a senior political analyst at Cable News Network (CNN). The man gained a lot of his political experience serving in four of U.S’ administrative positions. He has served as Counsellor to the President, White House Director of Communications, White House Staff Secretary, and White House Director of Speechwriting. More than that, David Gergen has been on the boards of two prestigious universities – Yale and Duke University. Below are details of his career, family, and other facts of his life. The award-winning political commentator was born on the 9th of May 1942 in Durham, North Carolina, U.S.A. His father, John Jay Gergen, worked at Duke University as the Chair of its Mathematics department from 1937 up until 1966. He was raised alongside his three older siblings in Durham. David got his high school education at Durham High School located in his hometown. During his high school years, he served as editor of the school’s newspaper – Hi-Rocket. He was admitted into Yale University upon graduating from High school. There, he bagged a B.A degree in American Studies; this was in 1963. At Yale, Gergen was the managing editor of the ‘Yale Daily News’ and was also a member of the Manuscript Society. In 1967, he graduated from Harvard Law School earning his LL.B degree. Shortly after completing his internship at the North Carolina governorship office, David Gergen enlisted and served in the U.S Navy for three and a half years; he was stationed in Japan. He began his political journey back in 1971, serving in the speech-writing office of the White House under then-President Richard Nixon’s administration. He started off as a staff assistant and in just two years, rose to become the director of speechwriting. In 1974, he went on to work for then-Treasury Secretary, William E. Simon as a speechwriter. David would agree he gained valuable fiscal and market experience working with William. In 1975, David Gergen made a return to the White House serving this time as Director of communications under Gerald Ford’s administration. A couple of years later (in 1980), he was a part of the presidential campaign team of George H.W. Bush, serving as an adviser. 1993 saw David Gergen return to the white house, this time as Counsellor to both President Bill Clinton and his Secretary of State, Warren Christopher. He currently works in world-renowned American news network, CNN, as its senior political analyst. This David sits on the board of a number of organizations and has been associated with various establishments; from Aspen Institute to Teach for America, Schwab Foundation, City Year, and the World Economic Forum, amongst others. He is the chair of the National Advisory Board of the School of Law of Elon University and co-chair of the Inclusive America Project under the Aspen Institute. That’s not all, David Gergen is a member of the North American Executive committee for the Trilateral Commission founded by David Rockefeller, the D.C Bar, as well as the Council on Foreign Relations. David Gergen has had a very successful career in politics, journalism, and in education with a commensurable amount of wealth, influence, and well over 20 honorary degrees to show for it. Specific details of his net worth and salary have not been disclosed so far. But considering the over 4 decades of his life which he has spent in various places such as the White House, CNN, International organizations, and on the boards of several establishments, it is safe to assert that he has amassed a very huge amount of wealth running into millions of dollars. See Also: Jim Acosta Biography, Wife, Children, CNN Career, Is He Gay? Wife and Children, Is He Married? The world-renowned political analyst has been married since 1967. He got married to a family therapist, Anne Elizabeth Gergen and they have been together for more than 40 years. It is no secret that the couple has been blessed with two children; a son and a daughter. 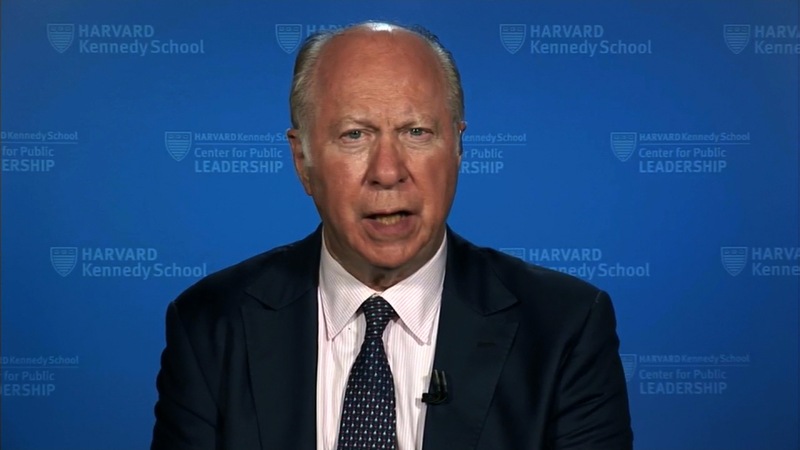 David Gergen’s son, Christopher, is a member of the Duke University Faculty while his daughter, Katherine, works at the Boston medical center as a family doctor. David and Anne Elizabeth are still happily married, they live in Cambridge, Massachusetts. And, apart from having 2 children, they also have 5 grandchildren.